The Quality, Reliability and Versatility of OxyM Blenders are designed as per the standard to meet the ICU and NICU requirements. The OxyM Blender with integrated flowmeters has been specifically designed for use in the NICU. The 0-15LPM flow meter on the left can be used to connect to a Resuscitator. The flow meter on the right, which can be fixed in 0-15, 0-3.5 or 0-1.0 LPM, can be used to connect an infant nasal cannula. The OxyM Blender’s unique features let turn the bleed required for low on and off simply by pushing in and rotating the right hand flow meter. It saves time and reduce frustration, because there are no parts to disconnect and misplace, And the OxyM B is always ready to use. Versatile dual range blender. Ideal for equipment needing flows from 2-120 Ipm, yet also capable of increased accuracy even at a low flow range. Perfect for NICU and newborn nursery or for a flow of 30 Ipm or less. Increased accuracy at even the lowest flow range. OxyM Medical Air/O2 blenders combine compressed Medical Air and Oxygen to deliver blended pressurised gas at a precise oxygen concentration (FiO2) firm bye the user. Some models are equipped with a unique gas bleed ON/OFF switch to increase accuracy when needed, conserve gas, save money and time. These blenders are suitable for respiratory applications including routine therapy, ventilator gas supply, Bubble CPAP, SiPAP, Resuscitator and critically -limited NICU procedures. nice Neotech offer different models with multiple outlet ports that deliver the same highly accurate selected FiO2. Most models can be customised to include the flowmeter attachment with a variety of flow rates available. The blenders contains an audible alarm which warns the user if either of the gas sources changes by more than 30PSI from the other. Medical air and oxygen blenders require a bleed for accuracy. The bleed on a blender is activated by the knob which is placed on the right port. This avoids the blended gas being into the air when the blender is not in use. To provide continuous supply of air and oxygen blenders gas for Bubble CPAP and T-Piece Resuscitator. Continuous Positive Airway Pressure (CPAP) supports infant breathing by providing respiratory support throughout the respiratory cycle. OxyPAP maintains the infant’s functional residual capacity by helping to prevent airway closure. CPAP promotes gas exchange in the alveoli, which acts to enhance airway patency, improve lung volume recruitment and maintain infant energy reserves, without the complications associated with endotracheal intubation. Optimal humidity (37°c, 44mg/L) with CPAP is vital to support an infant’s breathing and protect and protect its developing lungs. Optimal humidity protects the lungs to optimise outcomes for the infant by minimising airway drying, improving secretion clearance, reduce airway constriction. The Unique Bubble CPAP generators provides consistent and accurate delivery of CPAP. The reusable pressure manifold with pressure relief valve for infant safety The manometer is provided to ensure the delivery of accurate PEEP. Rotating PEEP adjustment Knob to prevent the use error of setting the PEEP. Servo control humidifier with temperature indication with heater wire for humidity of delivered gas. Easy to adjust the PEEP setting on the Bubble CPAP generator. Easy to set modes of humidifier Easy to fix the nasal prong with the neonates. 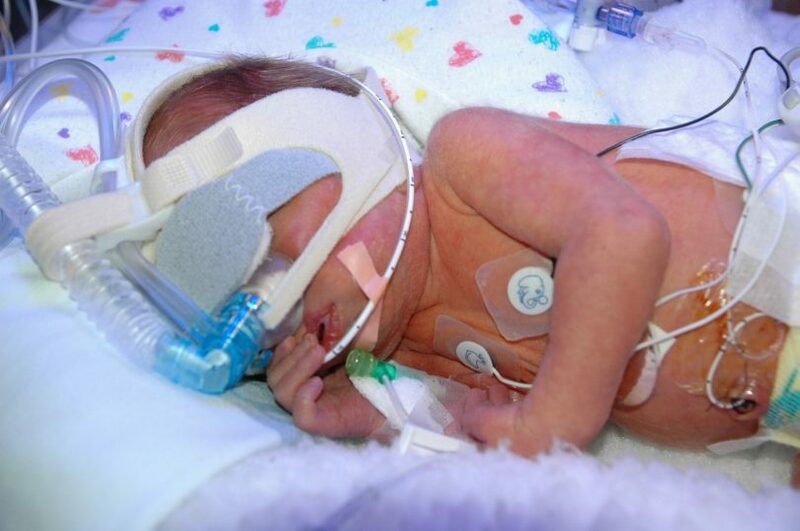 The Bubble CPAP system provides respiratory supports with body temperature, pressure saturated gas to the infant. Optimal humidity promotes mucociliary clearance and reduces the work of breathing. Offered in seven different sizes, it can be used on a wide range of patients from premature to new born baby. Bubble generator provides a convenient means to apply positive airway pressure, freeing the clinician to focus on patient care, not the device. This design delivers accuracy and stability throughout the course of therapy. The ergonomic design allows airways pressure to be easily set without the cumbersome time consuming tasks normally associated with bubble devices. Water feeding port allows water to be added or removed by disconnecting the expiratory circuit. Minimum and maximum lines clearly visible in highly transparent jar with overflow container.